Beyond its tourist attractions, Central Florida is recognized for its diverse natural environment that welcomes residents and visitors who enjoy hiking, biking, water sports and other outdoor activities. The Central Florida Clean Air Team includes businesses, organizations and people just like you – all working together to raise awareness of air-quality concerns, while promoting activities and programs that improve the quality of one of our most precious assets – the air we breathe. There are a number of positive steps all of us can take each day to improve air quality. Chief among these is choosing a more efficient means of transportation. The Clean Air Team occasionally meets to discuss strategies for improving transportation options and ways to encourage people to develop and practice good clean air habits. The team is always looking for new members, and we want your thoughts on how to improve our region’s air quality. If you would like more information, please contact Mary Ann Horne at 407 481-5672 x305 or mhorne@MetroPlanOrlando.org. May is Clean Air Month – a time to celebrate the impact the Clean Air Act has had on our environment and the overall health of our communities. The Clean Air Team celebrates by hosting and participating in events throughout Orange, Osceola and Seminole Counties. Today’s students are learning more about air quality than in past years. They understand the impact cars and other transportation options have on air and are eager to encourage change that will have a positive effect on our community’s future. The Clean Air Team recognizes the efforts of students who are doing exceptional work related to air quality. 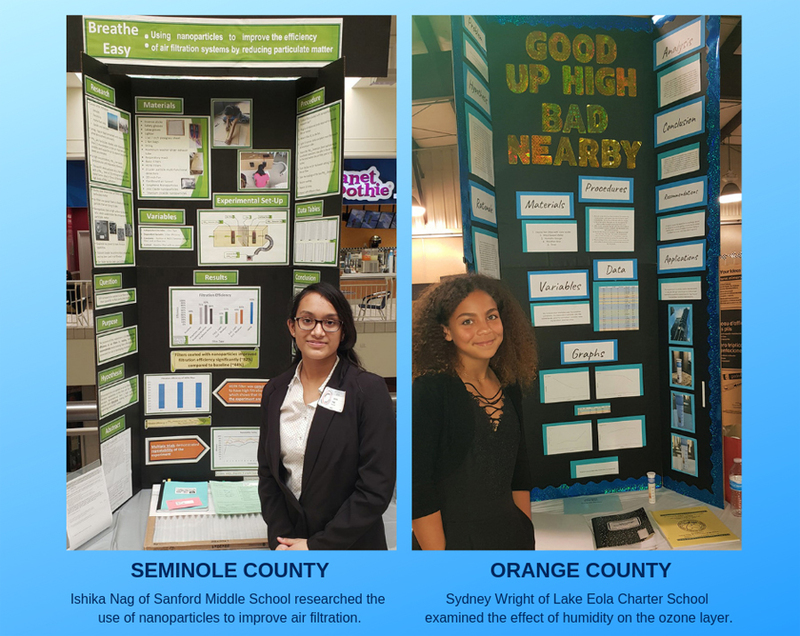 MetroPlan Orlando and the Central Florida Clean Air Team honored two outstanding students for their work at science fairs in the region with 2019 Student Clean Air Awards. Our winners undertook experiments that examined different ways to improve air quality through creative science — one involving air filtration and the other looking at the effects of humidity on ozone. Each of them received a trophy and a cash prize from MetroPlan Orlando and the Central Florida Clean Air Team for their efforts. Congratulations to these young scientists and all the others who competed in our regional science fairs! 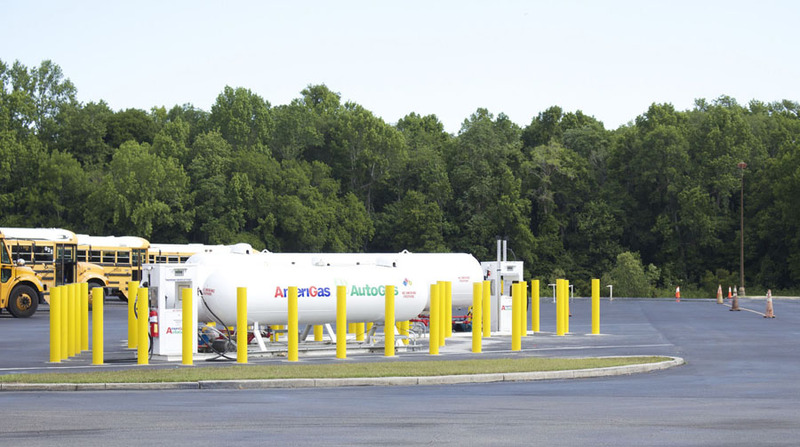 The Seminole County Public Schools Transportation Hub, featuring propane tanks. An SCPS propane bus gets maintenance. Seminole County Public Schools’ Transportation Services won the 2017 Clean Air Award for a commitment to alternative fuel buses. For the past three years Seminole County Public Schools Transportation Services has committed to buying alternative fueled buses. See photos from our 2017 Clean Air Award presentation to SCPS here. Wekiva Island, an environmentally friendly education and recreation venue near Longwood, strives to be a carbon-neutral recreation destination. The organization’s environmental philosophy goes by the acronym CERO — Conservation, Efficiency, Renewable and Offset. Since 2008, Wekiva Island has drastically reduced its carbon footprint, and it boasts Seminole County’s first LEED Platinum building — the Mike Barr Education Center. Orange County Public Schools Transportation Department was recognized for its Green Fleet initiative, which resulted in a cost saving of $1.3 million in the 2014-15 school year, as well as a significant avoidance of carbon emissions through several techniques. The Orange County Public Schools Facilities Department combined technology, policy, outreach and operating efficiency to avoid more than 16 million pounds of carbon dioxide emissions, while also saving more than $2 million. The City of Casselberry realized significant energy savings when it instituted a Compressed Work Week for its employees in 2011. By documenting the effort meticulously, the city also served as a model to help other local governments and businesses find ways to use creative scheduling to improve their energy use and bottom lines. 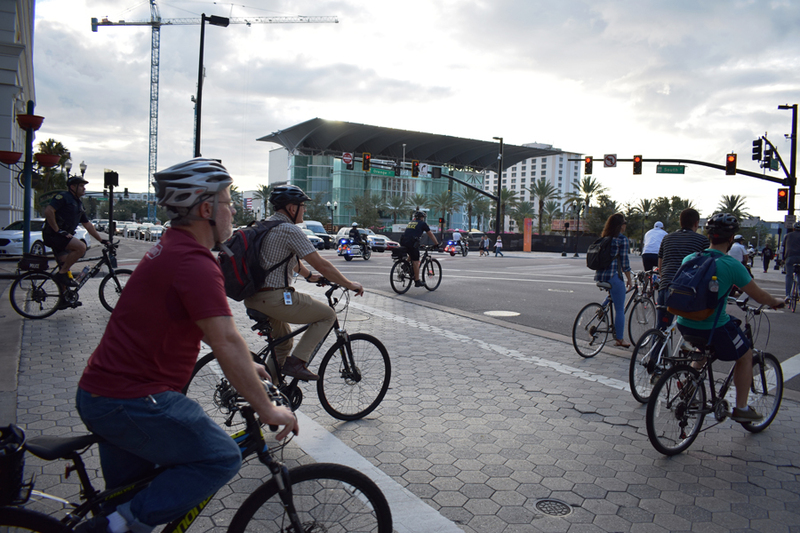 The region’s commuter assistance program, ReThink Your Commute, is committed to reducing congestion by helping Central Floridians choose smarter ways to get to work. Whether it’s carpooling, vanpooling, mass transit or telecommuting, reThink has an idea on how to help employers and employees use these techniques to improve their commutes and make our air cleaner. Orange County wants to be a leader in reducing greenhouse gas emissions and improving energy efficiency. In 2007, the county launched Orange to Green, a program designed to work with citizens and businesses to reduce their energy consumption and improve fuel efficiency. LYNX converted 100% of its bus fleet to biodiesel, which has the capacity to reduce annual fuel consumption by 800,000 gallons. The process is expected to lower carbon dioxide emissions by 16%, improving air quality in Central Florida. LYNX was presented the award as part of the grand opening celebration of the blending station. The Central Florida Zoo and Botanical Gardens implemented a Styrofoam recycling program on-site. Visit the zoo’s website to learn more about their green initiatives. Waterford Elementary School and Progress Energy Florida installed 12 solar panels on school grounds to help reduce energy costs. The project was made possible by SolarWise for Schools.